Mozilla's open-source Firefox browser is growing so quickly across Europe that it's posing a threat to Microsoft's Internet Explorer . 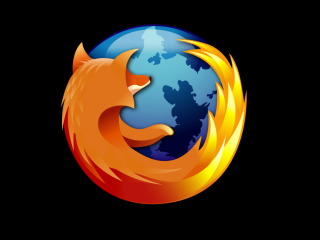 A survey of 96,000 websites across western and eastern Europe showed that Firefox has a 27.8 per cent market share compared to Internet Explorer's 66.5 per cent. Other browsers - chiefly Safari and Opera make up the remaining 5.7 per cent. Indeed the situation for Microsoft is so bad in some parts of Europe that Firefox is neck and neck with IE in some countries - Slovenia (47.9 per cent) and Finland (45.4 per cent). IE's also facing a tough fight in Germany, Poland, Hungary, The Czech Republic, Slovakia, Croatia and Ireland where Firefox has around a 40 per cent market share. Firefox is showing strong growth in France, Sweden and Switzerland. However it has still to reach 20 per cent in the UK, Italy and other European states. French website monitoring group XiTi Monitor carried out the survey. European PC users are also sceptical about Internet Explorer 7, according to a different XiTi Monitor report. It states that only one-third of IE users have made the switch so far, compared to 85 per cent of Firefox users who've switched from version 1 to version 2, ITWire reports. Firefox 2 has a greater market share in 17 European countries than IE7, but IE7 is close in 16 territories, with users adopting it instead of Firefox 2.